As a complement to the exhibition Adiós Utopia: Dreams and Deceptions in Cuban Art Since 1950, the Walker Moving Image department has curated Cinema Revolution: Cuba, a series of four classic Cuban films by filmmakers who gained international recognition soon after the formation of Castro’s revolutionary ICAIC (the Instituto Cubano del Arte e Industria Cinematográficos). To spark conversation about their impact today, we invited six experts on Cuban film—Juan Antonio García Borrero, Michael Chanan, Gustavo Arcos Fernández-Britto, Oneyda González, Dean Luis Reyes, and Alejandro Veciana—to respond to the question: How is revolutionary Cuban Cinema still revolutionary today? In their essays, presented when possible in both English and Spanish, they cover key considerations—including the innovations in form, technique, and style that are still admired or emulated today; the impact of these ’60s-era films on young people in Cuba today; its influence on today’s generation of artists; and the relevance of this work for audiences outside of Cuba. The fifth installment of the series comes from the perspective of Havana-based critic Dean Luis Reyes, who from 2007 to 2010 served as Coordinator of the Chair of Humanities of the International Film and Television School in Cuba. Social engineering experiences put into practice during the last half century in Cuba have led to several types of transformations and anthropological displacements as well as a reluctance to change. The Marxist point that considers a change in a society’s material base as essential to the transformation of social consciousness—that is to say, the core of the cultural meaning of a socialist society’s experience—forces us to take into consideration the relative speed with which a specific society evolves out of the underdevelopment model, especially in a peripheral nation, and executes a qualitative jump ahead in terms of human development. This matter, which should ignite a perennial discussion inside the public sphere—the academic world, politics, and among intellectuals—had its clearest delineations for understanding in the Cuban cinema. 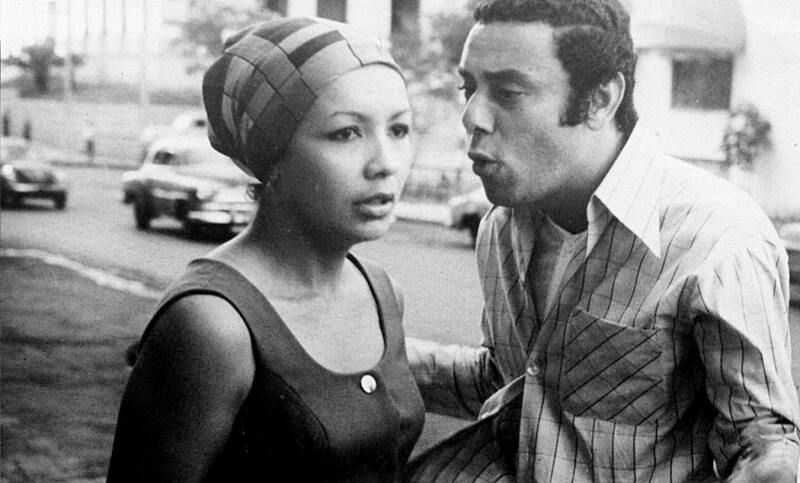 The topic of displacement was dealt with in Memories of Underdevelopment by Tomás Gutiérrez Alea—where Sergio dives into that “irrational” environment of the social “other” when engaging into a relationship with Nancy. It is also present in documentaries by Nicolás Guillén Landrián, whose surreal techniques displace the usual reading of social reality in order to force us to ask questions about the individual whom the new disciplinary logics impact, without even understanding the situation in its full. These are some examples of concern that also appear in the third tale of Lucía (Humberto Solas), in Sobre Luis Gómez (Bernabé Hernández) and, later—again thanks to a love between different worlds, which causes the main character’s anagnorisis—in Hasta cierto punto, also by Gutiérrez Alea. Sara Gómez’s One Way or Another (1977) is a chapter of a different kind in this line of development. First, it is the directorial debut of a woman. It is the only fiction full-length film directed by a female director in more than 40 years of national cinema production. This puts a crack in the hypothetical legitimacy of the institutional cinema model defining the ICAIC; it turns out to be paradigmatic among the modernist experiments of dialogue between documentary and fiction in the tradition of Cuban cinema. Moreover, it faces a complexity never seen in another Cuban film either before or after: the promise of social justice is made by the socialist Revolution and realized from a volatile position in a social field that, even though is not contrary to exemplary values of a group in the making, embodies in itself the failure of those values. The subject matter of the individual or of the world of marginalized people, which would be in any case the final target of an act of justice, as a harmful element for the sociopolitical revolutionary process of a socialist nature, supposes a paradox. While the liberating act of the revolution should produce an unparalleled social subject, that liberating process does not happen until some former values are broken because they are of no use to the new values. From there comes the prevalent dialectic argument of the confrontation between the new and the old that visualizes a series of models to be surpassed, while it can only activate fictions when making reference to what is to come. The subject of the masses—before leaving what Hannah Arendt calls “the organized helplessness” and becoming part of a new system of beliefs that requires a politicization and a superior status of rationality when facing its function as an individual and an integrated entity into an organism of collective will—must suffer the violence of a displacement, a definitive loss. He or she will then resist this in various ways, including the impugnation of his or her own system of values, which legitimates and empowers him or her. One Way or Another is a film that insists on several metaphors of creation-destruction. The image of the huge battering ram that demolishes the structures of the old stale city is repeated as an element linked to the production of the new replacing the old. At the same time, it addresses precisely the delusion that the change in the social consciousness automatically derives from the transformation of the conditions of material existence and the relationships of production and social exchange. Nonetheless, the focus of Gómez’s insights in the field of ethical values, work morals, racial conditions, subsistence habits, religiosity, and relationships between men and women directs some emphasis away from the film’s perceptions of the issue, of the essence of the problem: poverty. Again, the question of the relationships between base and superstructure turn out to be vital to explain the social dialects in conflict and the clash between the production machinery, based as much in reason as it is in madness—in the sense of the disruption of the current logic, of a moral consensus—implying the Revolution as the film’s addressee, its subaltern. The subaltern of the revolution is a sinuous entity: one which is oppressed and freed, one that contains and redeems, indoctrinates and invites, and has individual thought. An entity in-between, a being-in-process. One Way or Another works like a Marxist fable, which expresses the contradiction between the wish to understand the historical character of social formations and the background of irrationality, of the unpredictable darkness that lies inside each individual. Questions of cultural change and its implementation—questions of which values to dispose and which values to preserve—and how violent the intervention of the other’s values can be are questions outlined here. They are answered in some measure from a Manichaean position, although from another perspective deep and rich problems are opened. It is no coincidence that the female protagonist of the film is an elementary school teacher in whom the relevant drive of a disciplinary vision, derived from an exemplary psychological position, disrupts the status quo. Yolanda, who allegorizes the Socialist revolution whose values ​she embodies, is simultaneously a converted subject and an anomalous element. The anomaly in her case has to do with her affectionate relationship with Mario: an individual who strays very far from her system of values, representing the marginalized sector—the absolute subaltern—since he is subjected to the values of something above him. Yolanda penetrates the very core of social alienation and confronts it from prejudices that perhaps show less moral pressure, from a categorical stance, but that offers as an archetypal model, a goody-goody character with a few flaws. This factor, which has been read from the feminist point of view as a superior female character in our cinema—where women’s dramatic function should be studied in detail—also indicates a limitation. The lack of problems in Yolanda’s character and the drawing of contraries with Migdalia, her friend and ideological contributor, and Guillermo, the converted convict turned minstrel, in the dramatic arch of the film, point at the correcting edge that it contains. The male subject is here the vacillating element of social pressure, the subaltern character, not only for his social location but also because of the order of dramatic pressures. Therefore, Mario is the character who must ascend to the acquisition of self-consciousness, before he can obtain the necessary consciousness to adjust to the new society. It is his world and the gradual changes he experiences that really interest the director. The paradoxical thing about One Way or Another is that, while deploying a certain critical Manichaean apparatus around the transformation of the social consciousness in Cuba, it is a formal device of avant-garde. The formal bet wagered through the narrative structure, the modernist dialogue between fiction and documentary, turns out to be surprisingly experimental. If we check out some of the notes on the Miraflores Housing Development project not contained in the final film, we can determine that on paper it was much riskier than what we see today in film. The bid for imperfection—in the sense of the ideas exposed by Julio García Espinosa in his famous essay Por un cine imperfecto (1969)—finds in this film a cinematic technique truer to the notion of a subversive work, not only against the institutional way of representing cinema but also against the representation of its subject. The author’s excuse as a favorite hypothesis for the exegesis of the film (it is a common belief that knowing the author is enough to understand his work’s core motivations) prevents judging it as a collaborative act. Which, by the way, is one of the fundamental features of that experimental condition I am talking about. One Way or Another is a thesis work, absolutely. But it is also an open text, which included many staging features ruled by fate, with but a few lines of improvisation, which resulted not only from the lack of expertise of the director, but also from the huge feasibility of the topic dealt with to make it pass through the sieve of the territory in which Gómez felt most secure, and in which she had demonstrated great mastery: the documentary. Inside the doctrinal map contained in its rhetorical formulae, the film makes a stand on the ground of what it wants transformed. And that side of her approach to the social marginality issue confronted by the revolution has turned the film into an everlasting piece. The authority of the research and the anthropological approach, as well as the positivist data from sociology used here as a support for the argument, are relativized when getting into the complexity of the structures of daily life and the reflective map of this work. As Yolanda’s arguments to confront her problems are declared incomplete. Perhaps the most difficult knot to untie in One Way or Another has to do with making obvious the encounter between a repertoire of ethnocentric knowledge, produced from the civilizing framework of European values, which clashes with another gnosis, with a foreign system for apprehending reality. Maybe that is why this work was not well understood at the time. Criticism about the unlikely relationship between Yolanda and Mario during post-production provides some knowledge about the prejudices of that time, in which a relationship of that nature was considered impossible. Paradoxically, that could explain its great timeliness. The issue of the revolution’s subaltern remains valid in the conflicts of current Cuban society, in the rebirth of certain racial prejudices, of diverse dialects of social class, which produce an outline for social status, defining insiders and outsiders, where the marginal individual would occupy the primary function of what is feared and despised. Watching One Way or Another today, both in Cuba and under the progressive prism of the left, which has deployed social transformation projects and has arranged a scenario for cinema from which aesthetic justice can be exerted, also implies asking oneself about the strategies that symbolically inscribe the other. The victimization of the other, the patronizing solidarity with it, the inclusive perception of the “politics of difference,” are worn out paradigms, defeated. It is time to get dirty with difference, to dive into the haze of its darkness, to search for some understanding of the other in its complexity, a complexity that originates in the simple and plain persistence of the order of things where inequality still is the dominant variable in the social equation. Las experiencias de ingeniería social aplicadas durante el pasado medio siglo en Cuba produjeron diversas suertes de desplazamientos antropológicos, de mutaciones humanas, así como de resistencias. La cuestión marxista que considera el cambio en la base material de la sociedad como esencial en la transformación de la conciencia social—es decir, el núcleo del significado cultural de la experiencia de las sociedades socialistas—obliga, en interés de su consumación, a tomar en consideración la velocidad relativa con que una sociedad determinada consigue salir del modelo del subdesarrollo—en especial en una nación periférica—y ejecuta un salto cualitativo desde el punto de vista humano. Este asunto, que debería estimular una discusión perenne dentro de la esfera pública, el ámbito académico, la reflexión política, el campo intelectual, tuvo en el cine cubano un perímetro de recepción de los más lúcidos. La tematización de estos desplazamientos en Memorias del subdesarrollo (Tomás Gutiérrez Alea)—donde Sergio se sumerge en ese ámbito “irracional” del otro social al entablar su relación con Nancy—como en los documentales de Nicolás Guillén Landrián—cuyas tácticas surreales desajustan la lectura sintomática de la realidad social, para obligarnos a plantear la pregunta acerca del sujeto al que las nuevas lógicas disciplinarias impactan sin antes entenderlo del todo—son algunos de los ejemplos de una preocupación que aparece también en el tercer cuento de Lucía (Humberto Solas), en Sobre Luis Gómez (Bernabé Hernández) y, más tarde, otra vez gracias a un amor entre universos dispares, que causa la anagnórisis del protagonista, en Hasta cierto punto (Tomás Gutiérrez Alea). De cierta manera es un capítulo aparte en esta genealogía. Porque se trata además de la opera prima de una mujer, el único largo de ficción dirigido por una realizadora en más de 40 años de cine nacional—o sea, un dato que dibuja las fisuras de la hipotética legitimidad del modelo de la cinematografía institucional que suponía el ICAIC-; y porque resulta paradigmático entre los experimentos modernistas de diálogo entre documental y ficción en la tradición de la cinematografía cubana. También, porque enfrenta con una complejidad no vista en otro filme cubano anterior o posterior, el significado de la promesa de justicia social hecho por la Revolución socialista, verificada en un campo social de postura volátil que, si bien no es adverso a los valores ejemplares de una formación en ciernes, encarna en sí mismo el fracaso de esos valores. La cuestión del sujeto o el mundo marginal, que sería en todo caso el destinatario final del acto de justicia, como elemento nocivo para el proceso sociopolítico revolucionario de carácter socialista, supone una paradoja. Porque si bien el acto liberador de la revolución debería producir un sujeto social inédito, ese proceso de liberación no sucede sin antes quebrar valores precedentes que no son útiles a los nuevos valores. De ahí la persistencia del argumento dialéctico de la lucha entre lo viejo y lo nuevo, que visibiliza una serie de modelos a ser superados mientras solo puede activar ficciones cuando hace referencia a lo que vendrá. El sujeto masa, antes de abandonar lo que Hannah Arendt denomina “el desamparo organizado” y entrar a formar parte de un sistema de creencia nuevo, que le exige una politización y un estatus superior de racionalidad de cara a su función como sujeto individual y ente integrado a un organismo de voluntad colectiva, debe sufrir la violencia de un desplazamiento, de una pérdida definitiva. A la cual se resiste de muy diversas maneras, incluyendo la impugnación del propio sistema de valores que lo legitima y empodera. De cierta manera es una película que insiste en diversas metáforas de creación-destrucción. La imagen del ariete descomunal que demuele las estructuras de la vieja ciudad viciada se reitera como elemento vinculado a la producción de lo nuevo encima, o donde antes estaba, lo viejo. Pero, al mismo tiempo, tematiza precisamente la ilusión que supone la transformación de la conciencia social que derivaría automáticamente de la transformación de las condiciones de la existencia material y de las relaciones de producción y de intercambio social. No obstante, la concentración de su mirada en el ámbito de los valores éticos, la moral del trabajo, la condición racial, los hábitos de subsistencia, la religiosidad, las relaciones entre hombres y mujeres, restó énfasis, en la percepción del asunto que hace la película, a la esencia del problema: la pobreza. Otra vez la cuestión de las relaciones entre base y superestructura se hacen vitales para explicar los dialectos sociales en conflicto y la colisión entre la maquinaria de producción tanto de razón como de locura—en el sentido de alteración de una lógica vigente, de un consenso moral—que implica la Revolución y su destinatario, su subalterno. El subalterno de la revolución es un ente sinuoso, al que se oprime y libera, contiene y redime, adoctrina e invita a pensar por sí mismo. Un ser de entremedias, un ser-en-proceso. De cierta manera funciona como una fábula marxista, que expresa la contradicción entre el deseo por entender el carácter histórico de las formaciones sociales y el fondo de irracionalidad, de impredecible oscuridad, que hay en cada individuo. La cuestión del cambio cultural y su implementación, qué valor desechar y cuál preservar, hasta dónde llegar en la violencia de la intervención en los valores del otro, son preguntas que se esbozan aquí, y que se responden en cierta medida desde una posición maniquea, aunque desde otra perspectiva, se abren en problematizaciones espesas y ricas. No por gusto la protagonista femenina de la película es una maestra de nivel primario, en quien la pulsión categórica de una visión disciplinaria, derivada de la postura psicológica ejemplarizante, descoloca la posible normalidad de todo un universo. Yolanda, que alegoriza la Revolución socialista, cuyos valores encarna, es al unísono un sujeto convertido y un elemento anómalo. La anomalía en su caso tiene que ver con emprender una relación afectiva con Mario, un individuo muy distante de su sistema de valores, representante de ese sector marginal, subalterno absoluto, en tanto que sometido a los valores de algo por encima suyo. Yolanda penetra el núcleo mismo de la alienación social, y la enfrenta desde una categoría de prejuicios que acaso evidencien menos la presión moral, la postura categórica, pero que la ofrecen como un modelo arquetípico, un personaje bueno-bueno, con algunas fisuras, pero no demasiadas. Este factor, que ha sido visto desde la lectura feminista como un modelo de carácter femenino superior en nuestro cine—donde la función dramática de la mujer debería ser estudiada en detalle—también indica una limitación. La carencia de problematización del personaje de Yolanda, el dibujado de contrarios—Migdalia, la amiga—y coadyuvantes ideológicos—Guillermo, el recluso devenido trovador—en el mapa dramático de la película, señalan el borde correctivo que la misma contiene. El sujeto masculino es aquí el elemento vacilante de la presión social, el personaje subalterno, tanto por su ubicación social como dentro del orden de las presiones dramáticas. Ergo, Mario es el carácter que debe ascender a la adquisición de autoconciencia, como paso previo a la obtención de la conciencia necesaria para ajustarse a la nueva sociedad. Es su mundo y la mutación gradual que experimenta lo que de veras interesa a los realizadores. Lo paradójico en De cierta manera es que, al mismo tiempo que despliega un aparato crítico maniqueo sobre la transformación de la conciencia social en Cuba, supone un dispositivo formal de vanguardia. La apuesta formal, la estructura narrativa, el diálogo modernista entre la ficción y la forma documental, resultan sorprendentemente experimentales. Si revisamos algunos de los apuntes de “Residencial Miraflores” no contenidos en la película final, podemos determinar que sobre el papel era mucho más arriesgada que lo que hoy tenemos. La apuesta por la imperfección—en el sentido de las ideas expuesta por Julio García Espinosa en su célebre ensayo Por un cine imperfecto (1969)—encuentra en este uno de los objetos del cine más fieles a la noción de una obra subversiva tanto frente al modo de representación institucional de la tradición del cine como ante la proyección de su tema. La coartada autoral como hipótesis favorita de las exégesis que se han hecho de la película (pesa mucho la idea de que conocer al autor basta para entender el neuma de su obra) impiden juzgarla como acto colaborativo. Lo cual, dicho sea de paso, es uno de los rasgos fundamentales de esa condición experimental que digo. De cierta manera es una obra de tesis, absolutamente. Pero también un texto abierto, que incluyó muchos rasgos de puesta en escena gobernados por el albur, con no pocas líneas de improvisación, que derivaron tanto de la impericia de la realizadora ante una puesta de ficción como de la enorme factibilidad del asunto tratado para hacerlo traspasar el tamiz del territorio en el cual Gómez se sentía más segura, y en el que había demostrado elevado dominio: el documental. Dentro del mapa doctrinario contenido en sus fórmulas retóricas, la película se pronuncia en buena medida por conocer aquello que se desea transformar. Y ese costado de su aproximación al problema de la marginalidad social confrontada por la revolución la ha convertido en una pieza perdurable. La autoridad de la indagación y del método de aproximación antropológico, así como de los datos positivistas de la sociología, que aquí se usan como apoyatura de la argumentación, se relativizan al entrar la complejidad de las estructuras de la vida cotidiana en el mapa reflexivo de la pieza. Como se declaran parciales los argumentos de Yolanda para enfrentar sus problemas. Acaso el pliegue más complejo de desanudar en De cierta manera tenga que ver con evidenciar el encuentro entre un repertorio de saberes etnocéntricos, producidos desde el marco civilizatorio de los valores europeos, que entra en contradicción con una gnosis otra, con un sistema ajeno de aprehensión de la realidad. Acaso sea esa la razón por la cual no fue una obra del todo comprendida en su momento. Las críticas vertidas durante su posproducción en torno a lo inverosímil de la relación entre Yolanda y Mario, permiten comprender parte de los prejuicios de una época que consideraba imposible un vínculo de esa naturaleza. Paradójicamente, acaso ello explique también su profunda actualidad. La cuestión del subalterno de la revolución permanece vigente en los conflictos de la sociedad cubana actual, en el renacimiento de ciertos prejuicios raciales, de diversos dialectos de clase social que producen un contorno para su estatus, que definen un adentro y un afuera, donde el sujeto marginal ocuparía la función prioritaria de aquello a lo que se teme y desprecia. Ver De cierta manera en el presente, tanto en Cuba como bajo el prisma del progresismo de izquierda que ha desplegado proyectos de transformación social y ha dispuesto para el cine un escenario desde el cual ejercer la justicia estética, implica también preguntarse por las estrategias para inscribir simbólicamente al otro. La victimización del otro, la solidaridad paternalista para con él, la percepción incluyente de las “políticas de la diferencia”, son paradigmas gastados, vencidos. Toca ensuciarse con su diferencia, sumergirse en la bruma de su oscuridad, para buscar entender al otro en su complejidad, una complejidad que se origina en la simple y llana persistencia de un orden de cosas donde la desigualdad sigue siendo una variable dominante en la ecuación social.